Everyone likes Jason Sudeikis. It’s almost impossible not to. Not only does he have an everyman appeal, but he can go from being sleazy to charming all while remaining eminently charismatic and downright hilarious. It’s a rare quality. 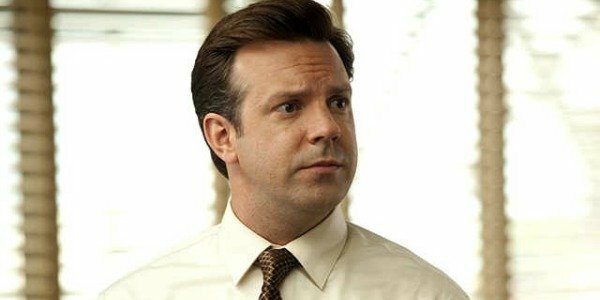 Over the last five years Jason Sudeikis has made the steady progression from small-screen darling to big-screen commodity, constantly stealing films as part of ensembles, before then leading We're The Millers to a $270 million box office haul (with a helping hand from Jennifer Aniston, of course). But, in 2016, Sudeikis is threatening to evolve even further, moving away from straight out comedies to more dramatic fare. But how has Jason Sudeikis ended up in such a prominent cinematic position? How did he hone his comedic talent? What previous roles helped to launch him on the road to success? How long has he been able to grow such a stellar moustache? We answer most, but unfortunately not all, of these questions and more in this handy guide. So scroll below and have at it. Jason Sudeikis was raised in Overland Park, Kansas, having moved to the city as a child after being born in Fairfax, Virginia. In fact, this is the same city where Paul Rudd and Rob Riggle hail from, which makes us think the comedy trio should instantly start work on a script based around their Kansas roots. Or, just on any script really. Jason Sudeikis actually had a connection to the glitzy world of television too. In fact, it’s one of the best links that any young kid could ask for, because his uncle was none other than George Wendt, best known as Norm Peterson on Cheers. Basically, between 1982 and 1993, Sudeikis was able to win any argument by revealing who his famous relative was. Soon Jason Sudeikis set out to match the exploits of his famous uncle, trying to prove his worth in the world of improvisational comedy. At first this saw him performing at Kansas City’s ComedySportz, which is now known as Comedy City. But he soon realised that in order to reach his true potential he’d need to move further afield, which took him to the improv mecca that is Chicago. Once in Chicago, Jason Sudeikis then began to hone his craft in the improvisational game, immediately looking to mix it against that the best the city had to offer. Jason Sudeikis did this by studying at both the Annoyance Theatre and ImprovOlympic, which ultimately led to him being cast in The Second City’s National Touring Company. All three of these have hugely famous graduates and students, and now Sudeikis is firmly one of those too. During this period Sudeikis’ main focus was clearly on the stage, with his only acting credit before 2007, according to his IMDB page, coming courtesy of 1998’s Alien Avengers II - where he played a character named Chester. It’s a role and performance that has been somewhat swept under the rug. Sudeikis had a rather impressive, and quick, progression through the Chicago improv comedy route over the next three years, creating his own show J.T.S. Brown alongside a host of Colbert Report and 30 Rock writers. Jason Sudeikis careered away from Chicago though, and after a quick detour via Boom Chicago Amsterdam, he found himself working as a founding member of Second City Las Vegas. A city renowned for ruining bank accounts rather than launching comedy, Sudeikis spent 2 years and 9 months of his life in Las Vegas, where he admitted on WTF that he began to fall out of love with Second City. After a brief flirtation with trying to become a member of Las Vegas’ Blue Man Group (seriously),Sudeikis found his love for improv rejuvenated, and he ultimately found himself auditioning for America’s most famous show. Like many other Second City alumni before him, Jason Sudeikis followed the path of John Belushi, Dan Aykroyd, Gilda Radner, and Bill Murray by progressing to the world of Saturday Night Live. But rather than being recognized for his exploits in the Windy City, like the above faction, Jason Sudeikis, as previously stated, actually found his way in front of the powers-that-be at the show because he was a founding member of Second City Las Vegas. In 2003, Lorne Michaels and his troop decided to hire Jason Sudeikis as a sketch writer. This was Sudeikis’ in, and his duties as a writer on Saturday Night Live soon saw him appear as either an extra or as an audience member on multiple occations. Clearly he impressed, because just two seasons later, in 2005, Jason Sudeikis had become a featured player on Saturday Night Live. The following season he was upgraded to a repertory member. Over the course of the next seven seasons, Jason Sudeikis became one of Saturday Night Live’s most consistent cast-members, and alongside Kristen Wiig, Andy Samberg, Seth Meyers, Fred Armisen, Will Forte, Kenan Thompson, and Bill Hader was part of one of the show’s most formidable line-ups in years. 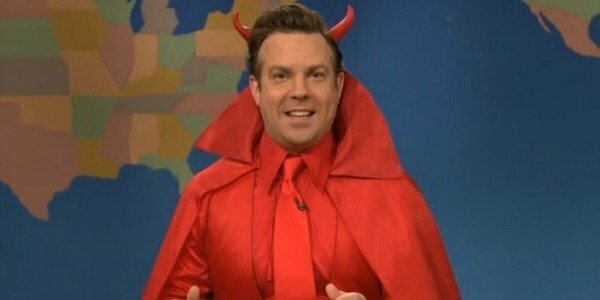 During his Saturday Night Live tenure, Jason Sudeikis had a number of recurring characters that he was able to wrap his inimitable personality around, while his confident bravura always lifted any sketch of which he was a part. Some of his recurring parts included being one of the “Two A-Holes”, the foolish Ed Mahoney, and The Devil on Weekend Update. Soon, other shows began to take notice, and while not affecting his Saturday Night Live career, he began to pop up on different programs. This grew and grew to the point that the extra-curricular television shows soon became extra-curricular films, and his status became so enlarged that his Saturday Night Live exit in 2013 was expected and deemed a necessity so that Sudeikis could progress even further. 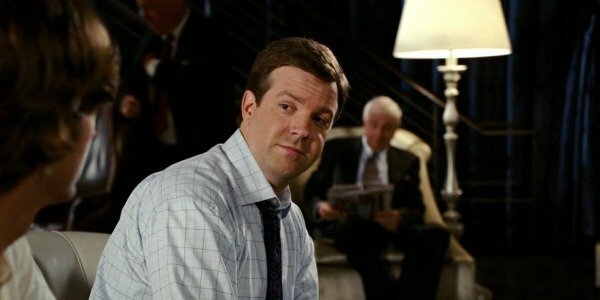 Those of you that aren’t Saturday Night Live devotees probably first came across Jason Sudeikis courtesy of 30 Rock. At first, there didn’t seem to be much to his character, Floyd – an attorney that worked at 30 Rockerfeller Center who Tina Fey’s Liz Lemon developed a crush on. But even though he was mostly the straight guy, Floyd returned for 12 further episodes over the course of the show’s first four seasons. 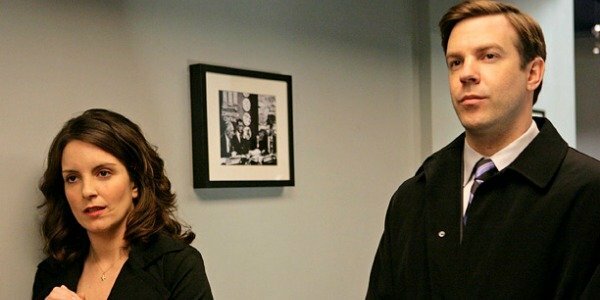 Thanks to this comedic prowess opposite Tina Fey, Alec Baldwin, et al, Jason Sudeikis soon started to appear in a supporting capacity on a number of other shows. This has included stints on Children’s Hospital, It’s Always Sunny In Philadelphia, Portlandia and Robot Chicken, while he’s even had prolonged periods on The Cleveland Show, Eastbound & Down, and, currently, The Last Man On Earth. What’s even more impressive about his repeated appearances on these shows is that they haven’t derailed his rising status on the big-screen too, because soon after making his debut on 30 Rock back in 2007, Jason Sudeikis began to turn up in more and more motion pictures. While Jason Sudiekis’ bit roles in the 2007 trifecta of The Ten, Watching The Detectives, and Meet Billhardly set Hollywood on fire, they proved that Sudeikis had the presence and sensibility to capture attention in films. In fact, there was a steady progression over the next few years, as his 2008 films The Rocker, Semi-Pro, and What Happens In Vegas, each saw Jason Sudeikis further up the cast list, while they actually starred Hollywood comedic contenders too. The same of which can be said for 2010’s The Bounty Hunter and Going The Distance. By 2011, studios and filmmakers were willing to give him leading roles in big-budgeted Hollywood comedies. Hall Pass and Horrible Bosses both performed impressively at the box office, and Sudeikis’ natural charm and everyman appeal was seen as a big reason for this. But it was 2013’s We’re The Millers that proved just how popular Jason Sudeikis had become with mainstream audiences, as it grossed $270 million by the time it was done in theaters. While he shared the top of the poster with Jennifer Aniston, Jason Sudeikis was her perfect foil, and its box office success cemented his status as a leading man. And while Horrible Bosses 2 didn’t match the haul of the original, $107.6 million is still nothing to dismiss. By 2015, Jason Sudeikis was beginning to be a bit more eclectic with his choices. While still resolutely comedic, both Sleeping With Other People and Tumbledown featured more depth and complexity to both their tones and characterizations. In fact, Jason Sudeikis’ upcoming roles suggest that this is a trend he plans on continuing, starting in 2016. But what does Jason Sudeikis actually have planned for 2016? Well, over the last few months he’s been ridiculously hard at work. So much so, in fact, that we’ll have six Jason Sudeikis films to appreciate over the next 12 months. The first one that will be arriving in theaters will be Race. The film sees Jason Sudeikis taking a more dramatic role as the coach to Stephan James’ Jesse Owens. For those of you that don’t know, Jesse Owens overcame worldwide prejudice to win four gold medals at the 1936 Berlin Olympic Games, which was held in the early years of Nazi rule in Germany. Obviously it won’t be filled with the rapid fire jokes that we’ve come to associate with Jason Sudeikis, but he’s previously proved with his supporting work in Drinking Buddies that he can be quite adept in such a role. Those of you waiting for Jason Sudeikis to bring the funny will be happy to hear that he’ll be appearing in the animated comedy adaptation of The Angry Birds video game. Sure, it is firmly aimed at children, but with Sudeikis joined by Josh Gad, Danny McBride, Maya Rudolph, Bill Hader, Peter Dinklage, Kate McKinnon, Keegan-Michael Key, Hannibal Buress, and Ike Barinholtz in the cast, it has to possess at least a few laughs… right? If you’re after raunchier comedy from Sudeikis, then Masterminds, directed by Jared Hess (Napoleon Dynamite), and co-starring Zach Galifianakis, Owen Wilson, and Kristen Wiig, should provide that in droves. 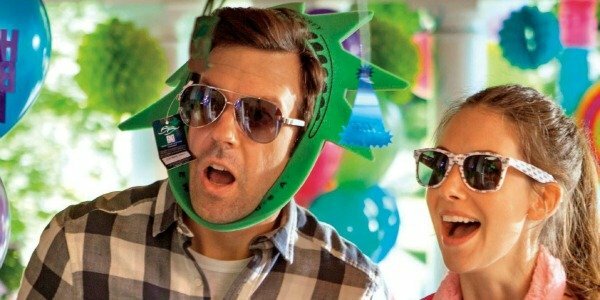 Meanwhile, the latest Gary Marshall cash-in of a holiday, Mother’s Day, is the sort of film that will be bearable because of Jason Sudeikis. Aditionally, The Devil And The Deep Blue Sea sounds as though it will see Sudeikis going full on dramatic, as he plays a widowed, introverted architect who helps out a homeless teenager. Jason Sudeikis’ most intriguing effort of 2016 is the Anne Hathaway-led Colossal, though. In the movie, Hathaway’s Gloria moves back to her hometown from New York City after losing her job and boyfriend, only to mysteriously discover that she’s strangely connected to a giant creature. Sudeikis is joint second-lead, and the apparent love interest for Hathaway, which suggests that he’s going to be dropping a hoard of quips in amidst the peculiar goings-on to capture her heart. 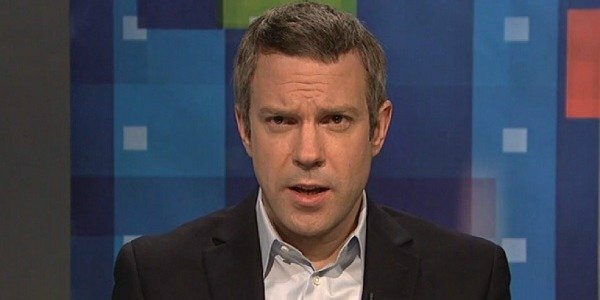 Rather obviously, with so many roles in 2016, what we’d all really love to see is Jason Sudeikis hosting Saturday Night Live. Surely at this point it’s got to be a formality? But beyond that, the success of these films will probably dictate the trajectory of Jason Sudeikis’ career. 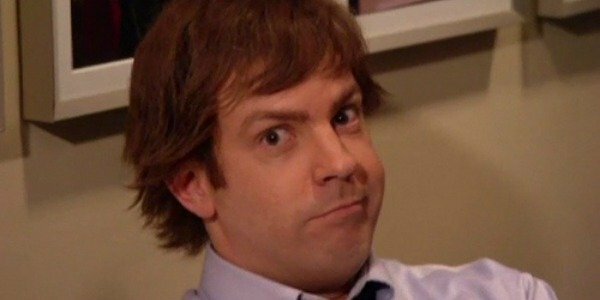 While Horrible Bosses 2 didn’t match the success of the original, there is clearly still a clamor from both audiences and studios for Jason Sudeikis to lead another mainstream comedy. It just depends on whether Sudeikis wants to return to such vehicles, or if he sees his career heading in a more dramatic direction. Meanwhile, in the more immediate future, Last Man On Earth viewers will be eagerly awaiting the start of show’s third season so that we can see exactly where Jason Sudeikis’ astronaut character Mike Miller lands on Earth… and if he survives. Also, it will be great to see him sharing the screen with SNL cohort Will Forte again, once Mike, inevitably, finds his way to his brother.